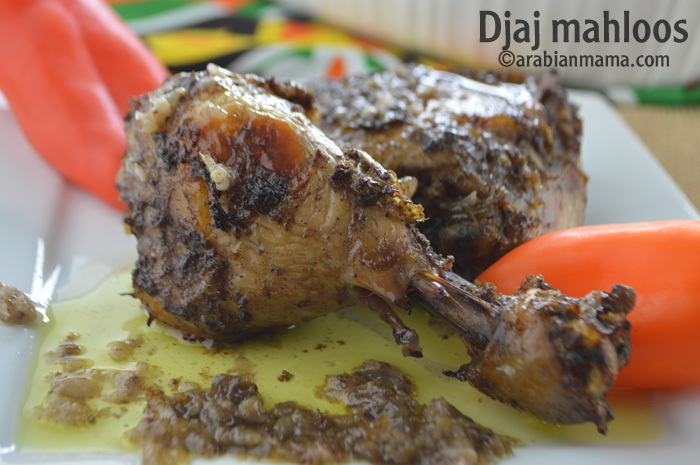 Enjoy the richness of the olive oil along with the tangy flavor of the sumac sprinkled on crunchy chicken skin in this mahloos chicken recipe from Palestine. Ramadan is right around the corner ( most probably by June 18th/19th), Egypt is getting ready for the holy month. Mosques are decorated, kids are decorating alleys and their houses with fanoos Ramadan (Ramadan Lantern) and colorful papers, everything is getting prettier here as it is this season of the year which Muslims are looking for. 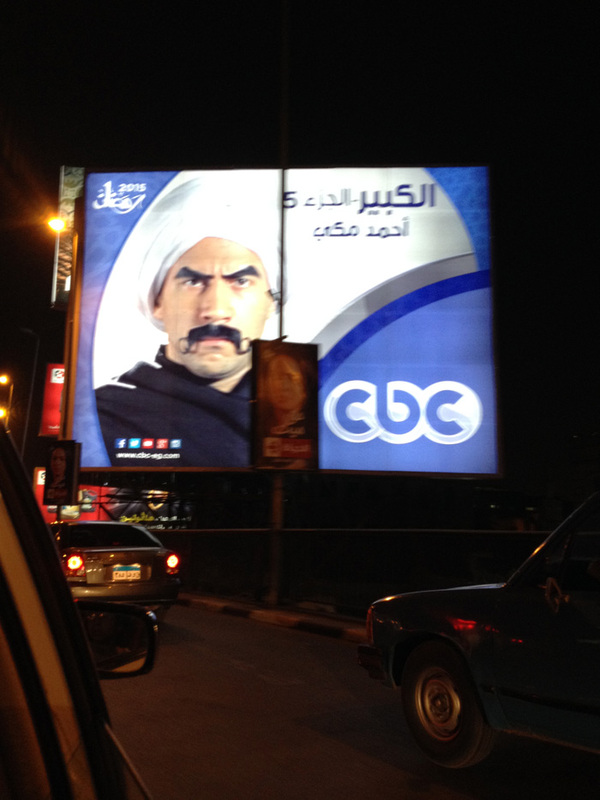 As Cairo is considered the Middle Eastern Hollywood , TV production companies were preparing the whole year for this month, there are tens of series and shows that are supposed to be broadcasting. 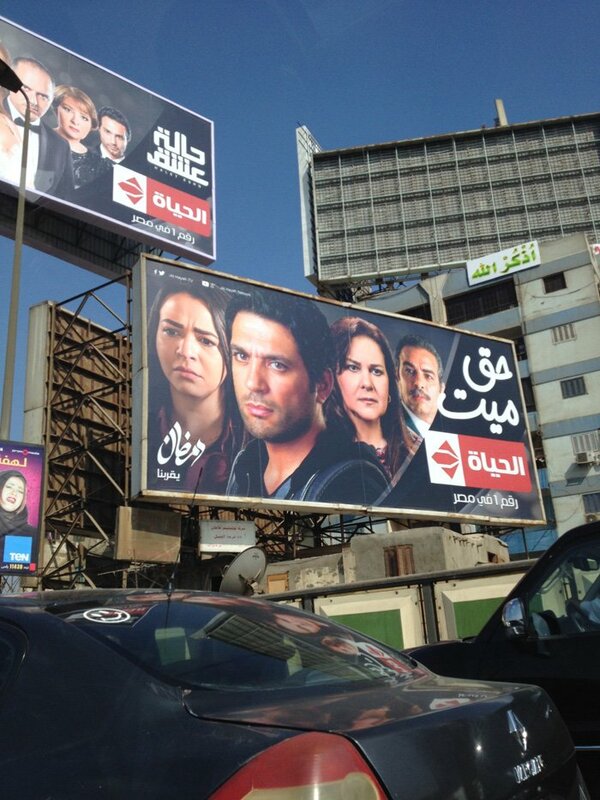 Millions are spent in the production and advertisement which are installed heavily in main roads. Voices are raised each year to stop this crazy media as this should be a month of worship and not to waste these precious moments on TV. 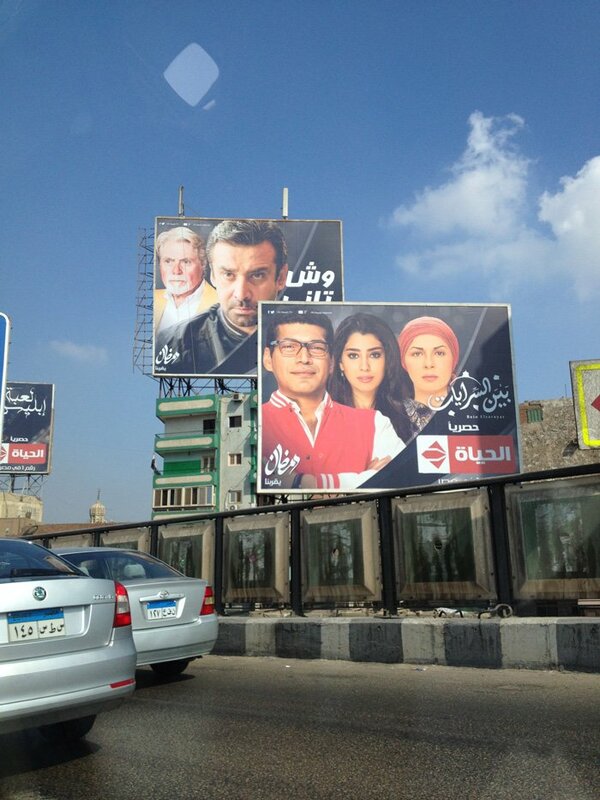 Huge advertisement are installed on the 6th of October bridge- the main bridge in Cairo. Tons of ads in such a small area!!! Stores are packed with people stocking food for this month!!! Kids are excited everywhere to buy Ramadan lanterns, Ramadan songs are being broadcasted in radio and TV channels.. it is a very joyful season here as Christmas in USA. Speaking of Ramadan, today’s recipe is very easy and handy, comes from Palestine so you should expect lots of olive oil and sumac as well. 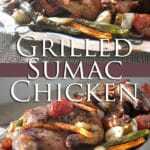 If you do not have sumac handy you can use lime juice. This is great for busy Ramadan days when you want a simple quick recipe to fuel everyone and yet still be able to pray the Qeyam (night) prayer. 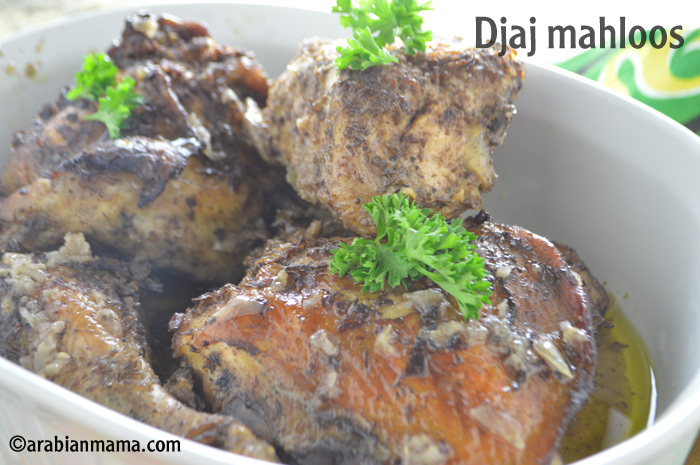 Here is a short video to show you how to make this delicious Palestinian recipe. 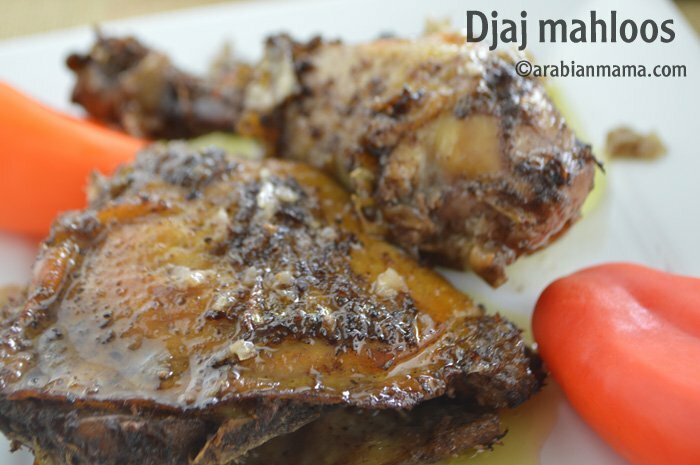 An increadibly easy and delicious recipe from the Palestinian cuisine. 1 whole chicken cut into 8 pieces. 1 1/4 c olive oil. 1/2 Tbs salt - or to your liking. 1/2 Tbs 7 spices mix. Ground allspice, black pepper, cloves, cinnamon, cardamom, fennel and ginger. Chop onions in food processor. Add all the spices and the oil. 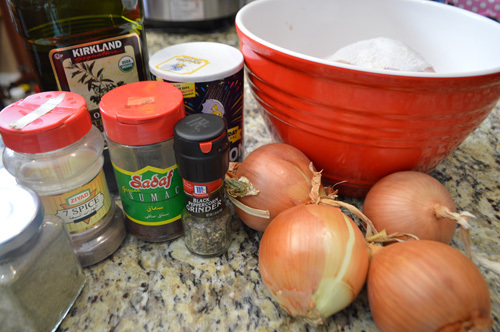 Spread half of the onion mixture in an oven dish. 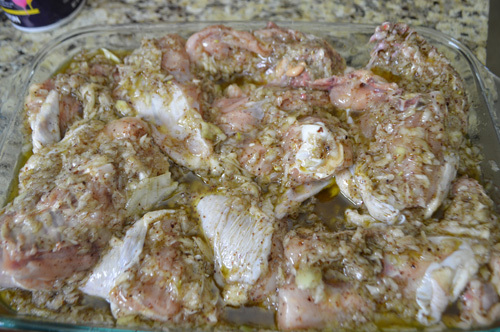 Place the chicken pieces then add the remaining onion mixture. Let it set for at least a couple go hours. Cover and bake until done then uncover and broil. Ramadan is a month of self control, peace, family, giving, worship and friendship, it is a month of togetherness which puts us on the right path for the rest of the year. Guided by Ramadan spirit I would like to wish you all the peace and happiness, may your life be filled with an abundance of love. Ramadan Kareem. Salam aleikum. I was feeling a little lazy so i just put all the spices, onion and oil in a blender and then on the chicken. 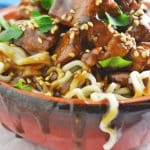 I loved this dish and so did my whole family! And i dont usually even like chicken that much. 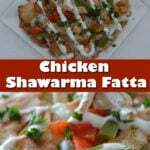 I also made a baby frendly version of this chicken to my little girl, she loved it too. This is now one of my favorite foods, thank you for shering this recipe 🙂 I hope you have a good Ramadan!